With that interaction, Herrera became aware of her citizenship status and its implications. When she was 11 years old, her parents had brought their family to southern California from Guatemala, seeking asylum from a country then mired in a genocidal, decades-long civil war. In high school, after enrolling in an honors genetics course, Herrera’s interest in chemistry gave way to an insatiable passion for biology. While waiting for her father to pick her up from school, she would spend hours with her teacher discussing the tenets of biology: DNA, cells, proteins, and more. “It was just amazing to me — it was like opening up a new world that I had never heard of,” she says. As she neared high school graduation, Herrera knew that her undocumented status precluded her from seeking federal financial aid, but she was determined to go to college. She was able to afford tuition at Cal State San Marcos, cobbling together a number of scholarships and commuting to campus from her family’s apartment, where she shared a bedroom with her parents and two brothers. At Cal State, Herrera studied under the late Thomas Wahlund, researching calcification and selenoproteins in a unicellular marine organism. When, as a senior, she received a letter saying that she had aged out of her parents’ asylum application and would be faced with deportation proceedings, Wahlund helped her find a lawyer and covered her legal expenses. “He was like a second father to me,” she says. Though Wahlund passed away that year, his wife was there to vouch for Herrera on her day in court, as were Wahlund’s colleague and Herrera’s high school and middle school teachers. The judge granted Herrera residency under a rare special rule cancellation, acknowledging that her parents relied on her for English-language and other support. “It was a lot of sadness and anger, but I used it as strength,” Herrera says. She went on to complete her bachelor’s and master’s degrees in molecular cell biology and biotechnology at Cal State. Last month, Herrera was one of 30 participants in the 10th annual Linton-Poodry SACNAS Leadership Institute training session. The intensive, five-day course for postdocs and STEM professionals was hosted at AAAS’ Washington, D.C., headquarters and facilitated by SACNAS, an organization dedicated to fostering the success of Hispanics, Chicanos and Native Americans in STEM careers. Participants had the chance to learn from each other’s experiences in group exercises and to build a vision for the future during keynote addresses and networking receptions. In an opening address to the institute’s attendees, Shirley Malcom, director of AAAS’ Education and Human Resources programs, laid out her life story. After growing up in segregated Birmingham, Ala., alongside classmates who were arrested during the Children’s March of 1963, Malcom beat the odds by earning a doctorate in ecology. Yong first became involved with SACNAS by attending the organization’s annual National Diversity in STEM Conference as a graduate student. Having the chance to meet other Pacific Islanders in science was life-changing for the aspiring academic. Now, as a professor at the University of Hawaii, West Oahu, he brings his undergraduates to present their research at the conference each year. Herrera also plans to attend this year’s annual conference. 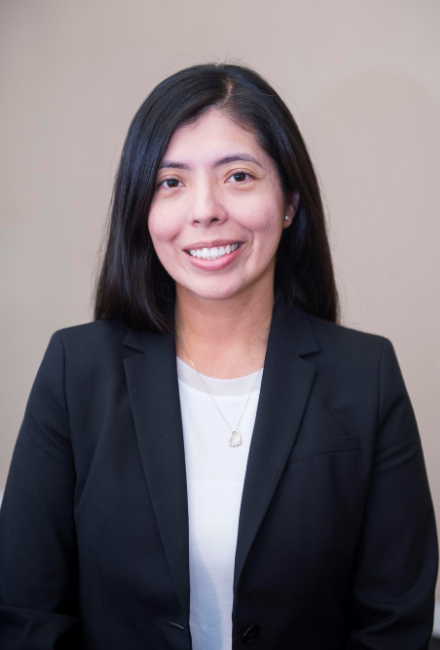 After completing her master’s at Cal State, Herrera earned her doctorate in Harvard’s biological and biomedical sciences program, researching potential metabolic pathways to treat a subset of breast cancers. Now, as Harvard Medical School’s assistant director of diversity and minority affairs, she looks forward to engaging with underrepresented minority students at SACNAS workshops.